Riviera Nayarit Mexico Blog: It’s Time For The 17th Guayafest In The Riviera Nayarit! It’s Time For The 17th Guayafest In The Riviera Nayarit! Over 300 Volkswagen cars from more than 14 different cities in Mexico are expected to arrive; this year two newly modified cars will be unveiled. 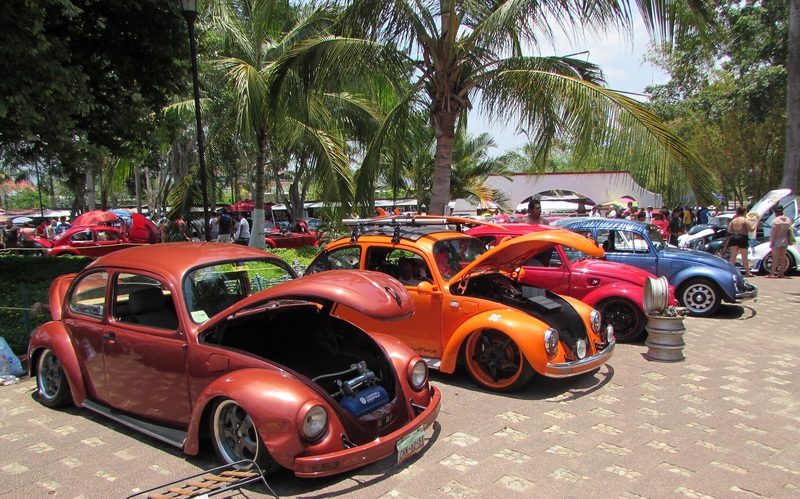 On Saturday April 9th and Sunday April 10th Rincón de Guayabitos will welcome the seventeenth edition of Guayafest, a traditional expo festival for classic and modified Volkswagen cars held in the Riviera Nayarit. The organizers—TPC Bugs Club and the Asociación Nacional de Clubes Vocheros de México—announced the unveiling of two new, recently modified cars. The parade will take place on Saturday afternoon and will also tour the neighboring towns of Los Ayala and La Peñita de Jaltemba. The expo will happen on the main plaza starting early on Sunday morning; the plaza, by the way, has been recently remodeled and is anticipating a grand re-opening. The variety of sponsors including the Riviera Nayarit Convention and Visitors Bureau and the Compostela Hotel and Motel Association, as well as the backing of the local authorities, guarantee the safety, fun and success of this very important event for Guayabitos. This is an event of great interest for the domestic market and includes the participation of vocheros (Bug enthusiasts) from Nayarit, Jalisco, and the Bajío, Pacific, Northern and Central regions of the country. There are over 30 categories that subdivide the participants in order to choose the best-preserved classic car or one with the most attractive modifications. As happens every year, the Guayafest takes place after Holy Week and Easter in order to extend the excellent tourist season that occurs during those dates. The organization of this event has been an excellent decision, as it has since become a yearly anchor attraction for the Riviera Nayarit with over a thousand attendees.